I recently saw a shirt with blended colors and decided to give it a try with my vinyl screen printing method. It took a little trial and error to figure out the best approach for making this shirt. I wanted to show you my first (failed) attempt and my final result. 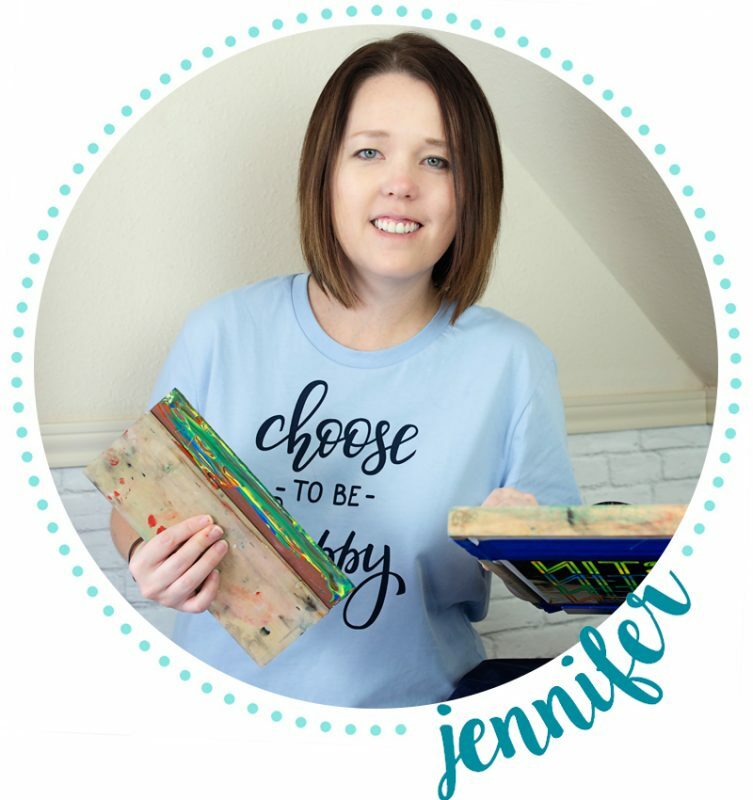 You can learn more about screen printing with vinyl here. It’s not that it didn’t work but it wasn’t the look I was going for. For my first attempt, I spread the ink above the words. Then, I pulled the ink together, created a blending effect. While it looked okay, it wasn’t the effect I wanted. I wanted the ink colors to fade from one to the next. So I washed the ink off of this shirt and tried again. After cutting out the design on my vinyl cutter again and applying it to the back of my Speedball screen, I added 4 spoonfuls of Speedball ink to the side of my graphic this time. Using my squeegee, I ran the ink horizontally across the shirt. It resulted in blended effect I was going for! If you are interested in seeing more of my video tutorials, subscribe to my YouTube page and join my email list! I found you on IG and love your work and videos, thank you for sharing. With the set up you have would you be able to use one template to do multiple colors? For instance, a flower, could you squeegee a green stem, clean screen, then come back with same template and make yellow petals? You can definitely do multiple colors. Have you gotten a copy of my ebook? 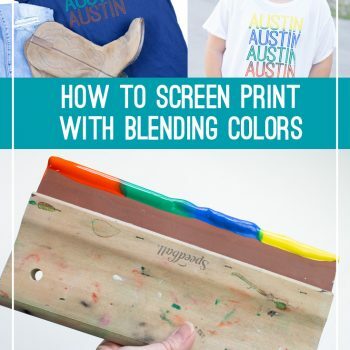 (Available here: https://www.pigskinsandpigtails.com/how-to-screen-print-with-craft-vinyl-in-10-easy-steps/) It walks you through the process with photos and instructions. I’m also planning to post a quick video demo on IG tomorrow of a multi color shirt I just finished. Thanks for following along!